Section 1312(f)(1)(B ) of the Affordable Care Act and 45 CFR 155.305(a)(2) provide that an individual is not eligible to enroll in a Qualified Health Plan (QHP) through the Health Insurance Marketplace if he or she is incarcerated, other than incarceration pending the disposition of charges. These FAQs provide guidance on the definition of “incarcerated,” and “incarceration pending the disposition of charges” for the purposes of eligibility for enrollment in a QHP through the Marketplace. The information in this document applies to all Federally-facilitated Marketplaces (including State Partnership Marketplaces), and to State-based Marketplaces that rely on the federal eligibility and enrollment platform. State-based Marketplaces that do not rely on the federal eligibility and enrollment platform may adopt the policies set forth in this document, or other reasonable ones consistent with applicable law. The information in this document does not apply to eligibility for Medicaid or the Children’s Health Insurance Program (CHIP). Q1. 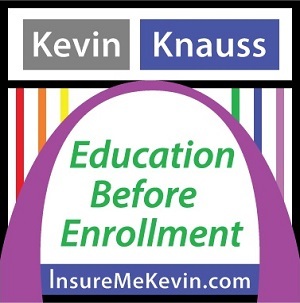 What is the definition of incarcerated (other than incarcerated pending the disposition of charges) for enrolling in a qualified health plan (QHP) through the Marketplace? A. For purposes of eligibility for enrollment in a QHP through the Marketplace, the Federally-facilitated Marketplace (FFM) considers an individual incarcerated if the individual has been convicted of a crime and is sentenced to confinement in an institution such as a correctional facility or inpatient mental health facility. An individual will also be considered incarcerated if the individual is currently an escapee from confinement or has had his or her parole and/or probation revoked and is sentenced to confinement in a correctional institution. The precise application of these standards may vary by jurisdiction, because of differing terminology for these concepts across jurisdictions. Q2. What does “incarceration pending the disposition of charges” mean? Convicted of a crime but awaiting sentencing, whether confined to a correctional institution or released on bail, bond, or other conditional release. An individual who is incarcerated pending disposition of charges can enroll or continue existing enrollment in a QHP through the Marketplace and receive advance payments of the premium tax credit and cost-sharing reductions if he or she meets the other eligibility requirements. Q3. Are probationers and parolees considered incarcerated if they are sent back to jail because their probation or parole has been revoked? A. Probationers and parolees can be eligible to enroll or stay enrolled in a QHP through the Marketplace if they are in a prison or jail pending the results of a hearing to determine if their probation or parole will be revoked. 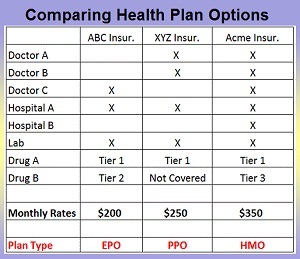 If they are sentenced to confinement in an institution because their probation or parole has been revoked, they are no longer eligible to enroll in a QHP through the Marketplace, and, if already enrolled, must report the change in their status within 30 days so their QHP coverage through the Marketplace can be terminated. Q4. If an individual enrolled in Marketplace coverage is sentenced to serve time in prison or jail, must the individual report that change to the Marketplace and terminate coverage through the Marketplace? A. Yes. Enrolled individuals have 30 days to report a change that affects their eligibility for enrollment in a QHP through the Marketplace, including incarceration (other than incarceration pending disposition of charges). In general, changes in eligibility can be reported by the enrollee or application filer, within 30 days, by contacting the Marketplace Call Center at 1-800-318-2596 (TTY: 1-855-889-4325) or by visiting HealthCare.gov. Changes can also be reported through the Marketplace Call Center by (1) any adult age 18 or over who is on the application and applied for Marketplace coverage, or (2) an adult age 18 or over listed as a tax filer on the incarcerated individual’s application for Marketplace coverage, even if the tax filer didn’t apply for coverage. Instructions on reporting a change and ending Marketplace coverage using HealthCare.gov are available at www.healthcare.gov/reporting-changes/cancel-plan/. If neither the incarcerated individual nor any adult on the application is able to contact the Marketplace to report a change and end Marketplace coverage, then an individual authorized to contact the Marketplace on the incarcerated individual’s behalf can call the Marketplace Call Center at 1-800-318-2596 (TTY: 1-855-889-4325). Changes may not be reported by mail or through the paper application.